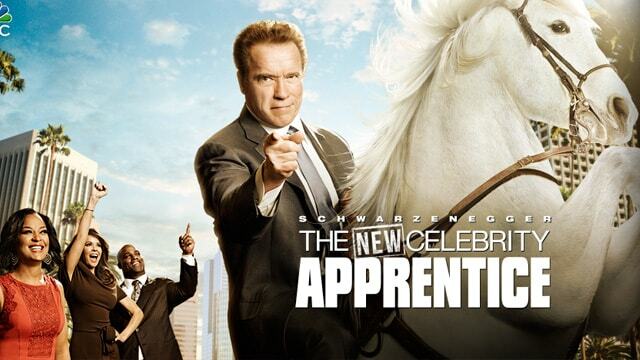 Celebrity Apprentice And Teen Mom 2 Premiere Tonight; Plus New Episode Of Vanderpump Rules! The holidays are officially over, and as a reward for surviving the networks are bringing us new seasons of Celebrity Apprentice (with brand new host Arnold Schwarzenegger) and Teen Mom 2 season 8. There’s also an all-new episode of Vanderpump Rules. Celebrity Apprentice has been on hiatus for 2 years while they replaced hosts when Donald Trump left to focus on politics. The show also moved from NYC to LA and Tyra Banks is on board as an advisor. This season’s cast features Real Housewives Porsha Williams and Kyle Richards, and other reality star veterans Carson Kressley and Snooki. If you had told me back in 2010 that a post-Jersey Shore Nicole “Snooki” Polizzi would appear on additional reality shows, my money would have been on Celebrity Rehab or some other franchise that reeks of Dr. Drew. Don’t get me wrong, I loved the fist pumping, cahhb cahhlling, Sunday dinner eating, GTL-ing, DTF-ing, Shore Store employees probably more than the average fan, but I didn’t really predict any sort of staying power. Of course, we all know I’m an idiot. Celebrity Apprentice Season 8 Cast: Kyle Richards, Porsha Williams, Nicole Polizzi, Carson Kressley, Jon Lovitz, And More! Breaking news! NBC just announced that two housewives, Kyle Richards and Porsha Williams, and one former Jersey Shore star, Nicole “Snooki” Polizzi, are going to be competing on the upcoming season of Celebrity Apprentice! Also revealed this week, Tyra Banks will be joining Arnold Schwarzenegger in the boardroom. She will be replacing Ivanka Trump as an advisor. I’ll admit I’m not crazy about this choice, but nothing would keep me away from Porsha, Kyle, and Nicole battling it out. Check out the complete Season 8 cast below. Hasta La Vista, Donald Trump – You’re Fired! NBC has officially named Donald’s replacement as Celebrity Apprentice host: actor and former California Governor Arnold Schwarzenegger. The announcement was made this morning that going forward, Arnold is the head honcho in the boardroom. He’ll take over on the 2016-2017 season of the show. Below you’ll find snapshots from Porsha Williams, Heather Dubrow, Farrah Abraham, Kristen Taekman, Josh Altman, Lisa Rinna, and more. NJ Housewives’ Teresa Giudice Opens Up On Bankruptcy, Cheating Rumors, & Melissa Plus Preview New Episode! It’s been a week since the highly dramatic premiere of the Real Housewives of New Jersey season 3, and the topic of conversation is still the now infamous Christening brawl. Last week, Melissa Gorga and hubby Joe Gorga gave their side of the story to Life & Style magazine, and now Teresa Giudice is doing the same in the current issue of PEOPLE magazine. In fact, Teresa tweeted days ago that she almost got the cover but was instead bumped in favor of Arnold Schwarzenegger. “I’m in PEOPLE mag this week! An actual true story from a good magazine! (I was almost the cover but #ArnoldIsAPig),” she tweeted. Teresa On Bankruptcy – Teresa touched on the bankruptcy drama as she and Joe filed back in 2009, with $11 million in debt. “It was stressful, but I wasn’t overly emotional about it,” says Teresa. “To me, I didn’t overspend. That was a lifestyle we always lived… I hated it when people called me the Broke Housewife,” she adds. The PEOPLE story also added that the bankruptcy is yet to be finalized due to ongoing litigation. As we reported back in November, the Giudices are scheduled to stand trial in July for bankruptcy fraud. The bankruptcy trustee is looking to get the bankruptcy dismissed alleging they concealed assets. Cookie-gate – As we reported last year, Melissa brought cookies to Teresa’s home on Christmas in 2009 and Teresa ended up throwing the cookies in the trash while also telling Melissa to get her cookies that she likes next time. Surprisingly, both Teresa and Melissa admit this really did happen in the PEOPLE article. “I was trying to be nice,” Melissa explains. “But then she told me in front of everyone, ‘Don’t ever bring those cookies again… I was like, I give up.” Teresa’s response? “Nobody ate them. I told her straight to her face, ‘The next time you come, bring pignoli cookies. '” Teresa also attempts to defend her actions by adding that a previous snide remark in a housewarming card from Melissa a few weeks earlier had set her off. And today, Teresa adds that she does want to fix things with her family. “I don’t know how things go so bad between us, but I want to fix it,” she says. You can read more of Teresa’s interview in the current issue of PEOPLE magazine. Moving on to tonight’s all new episode as the #1 sh*t stirrer Kim Granatell makes a return! On the new episode, the ladies deal with the aftermath of the brawl as the Brownstone hosts a fashion show. The catwalk sets the stage for catcalls and catfights, particularly when Kathy voices off and Caroline stands her ground. A preview clip is below. And on Watch What Happens Live tonight, the guests are Teresa and Jacqueline Laurita. TELL US – THOUGHTS ON TERESA’S INTERVIEW & TONIGHT’S NEW EPISODE?